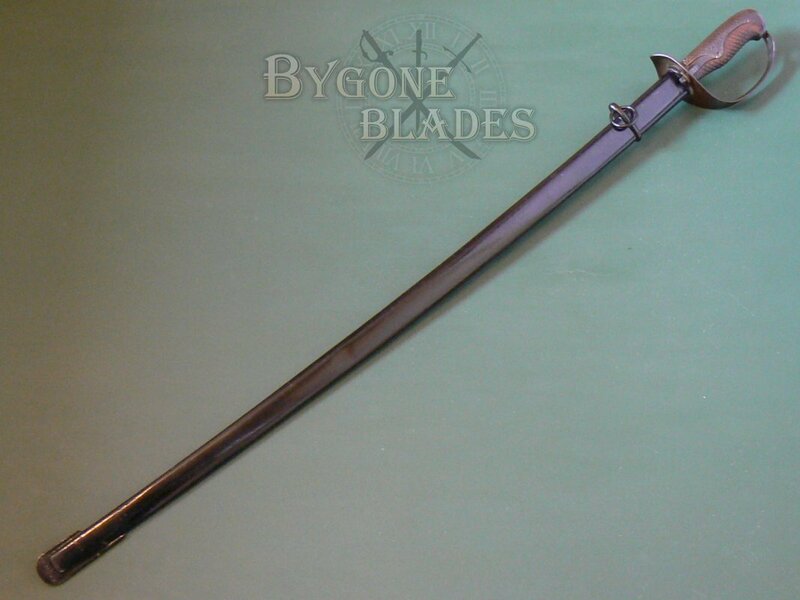 The Type 32 (Model 1899) had a machined blade and was manufactured at the Tokyo Hohei Kosho Arsenal. 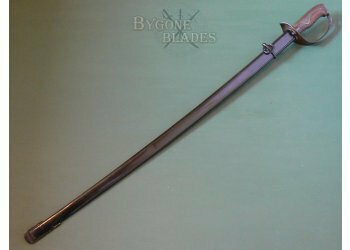 The sword saw service during the Russo-Japanese War, World War One and on into World War Two. 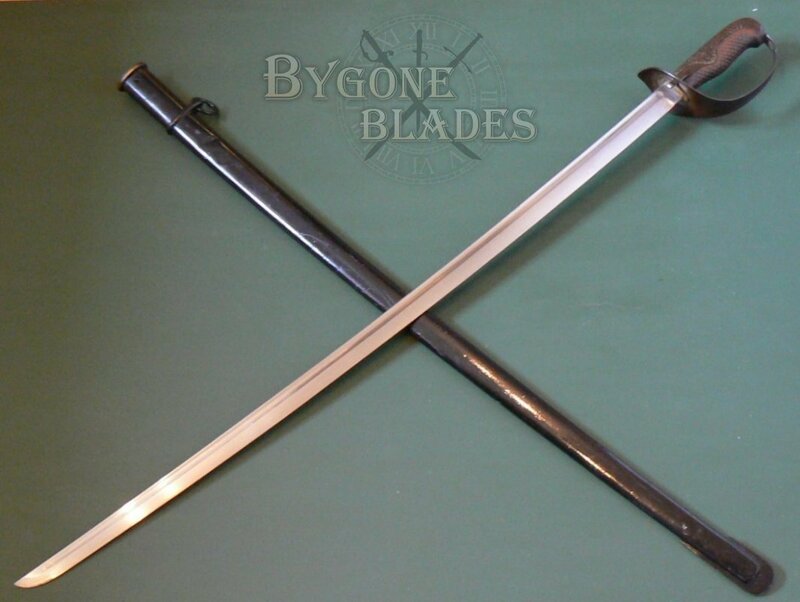 Two patterns of the Type 32 were produced. 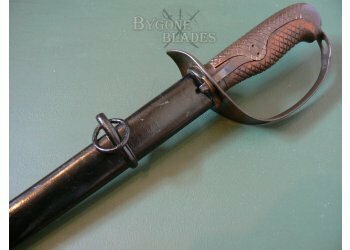 The first pattern, known as ‘Ko,’ was issued to cavalry NCOs and had a blade length of around 830mm. 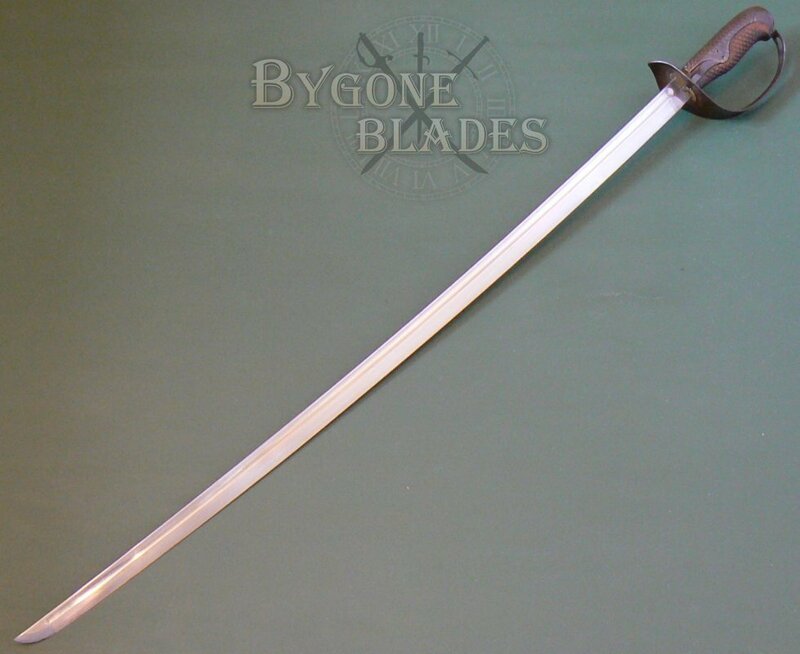 The second pattern, known as ‘Otsu,’ was issued to army NCOs and was shorter, with a blade length of around 770mm. 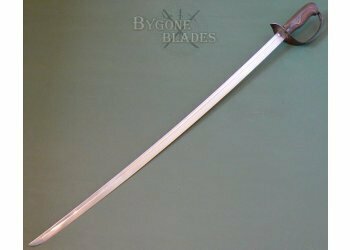 This example is a ‘Ko’ pattern Type 32 cavalry sabre. 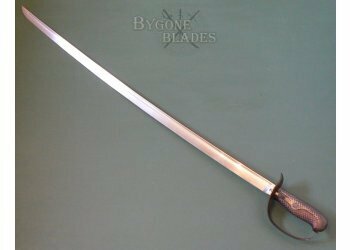 This sabre is a later production model, produced without the leather finger loop and with a slightly different throat to the scabbard. 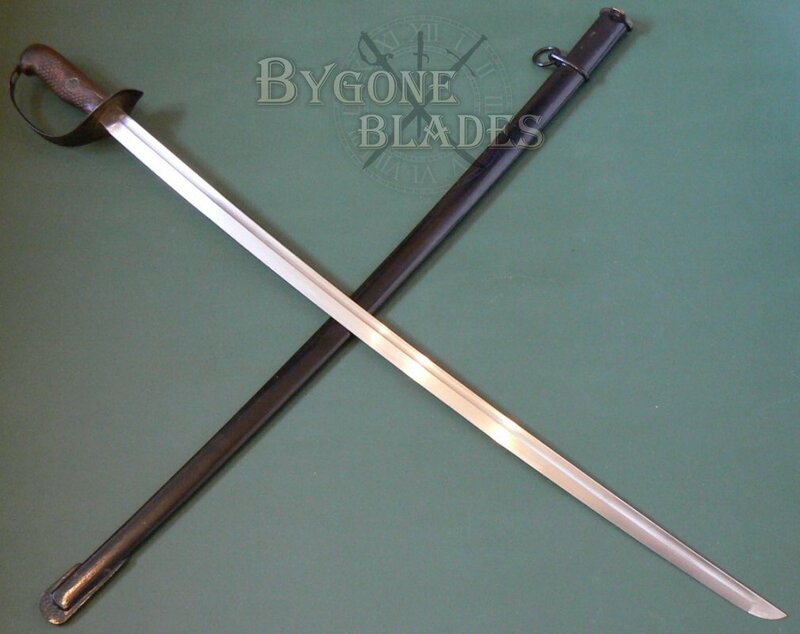 The 830mm Katana profile blade has a single edge and long, narrow fuller below the flat spine. 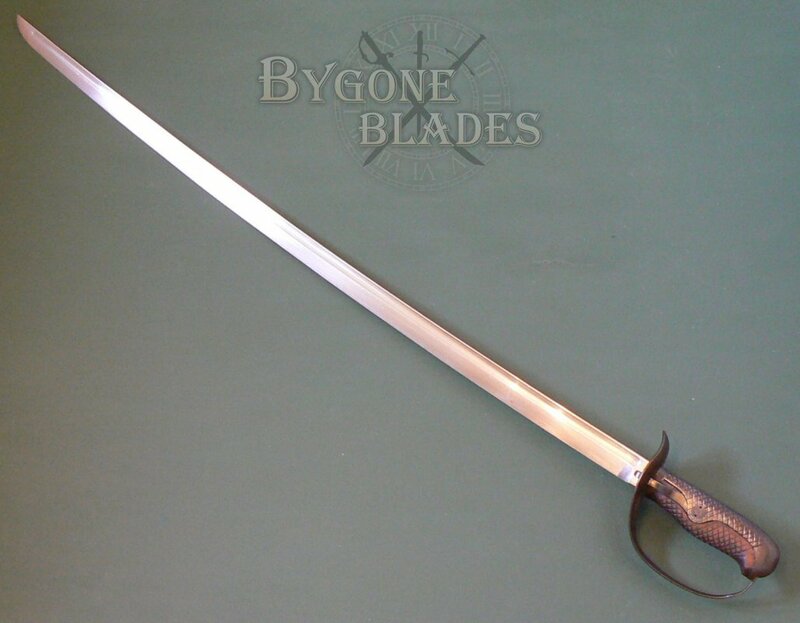 The blade is in near mint condition and retains its fighting edge. The ricasso is stamped with a serial number. 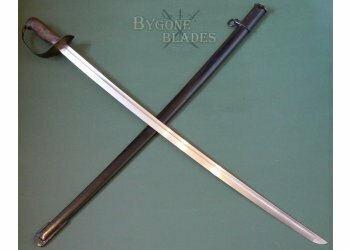 The blade was designed for cutting and thrusting and was superbly good at both. 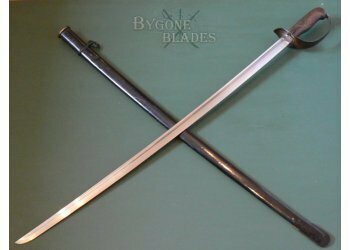 The steel D guard has a checked steel back strap and dove head pommel, all of which retain their original finish and are in excellent condition. The checked wooden grip is in similarly excellent condition. The locking catch is present and strong. 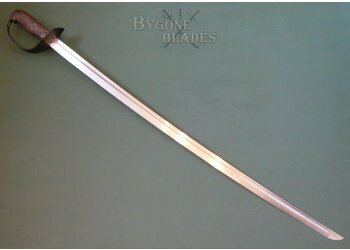 The sword is complete with its steel scabbard, with a single hanger-ring. 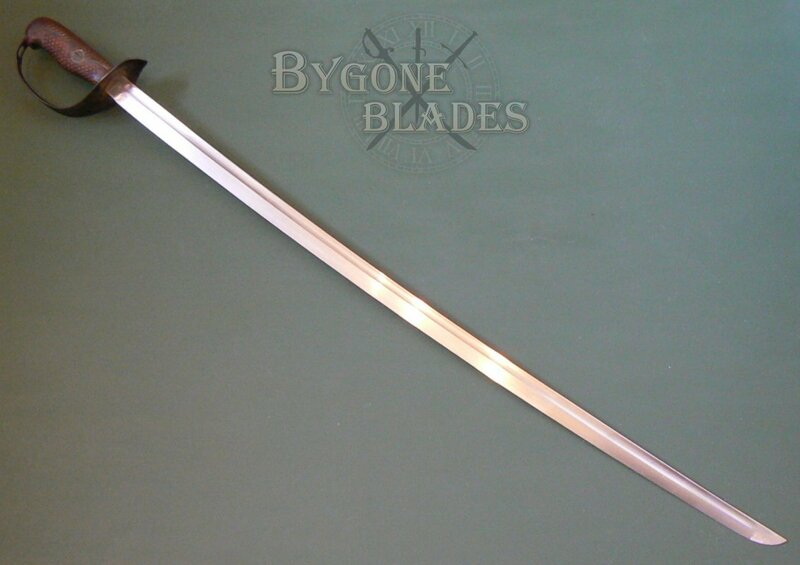 The scabbard is in excellent condition and the sword sheathes and draws smoothly and is held firmly. The locking catch works perfectly. 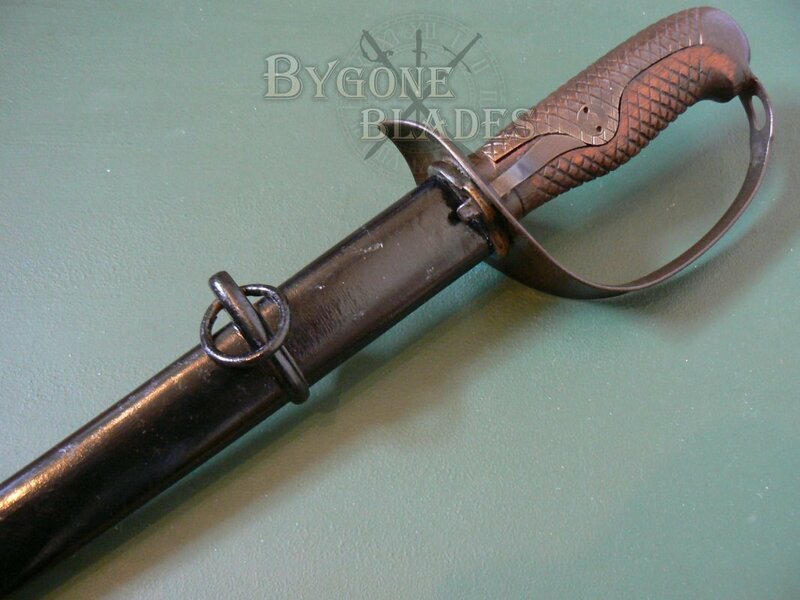 The drag of the scabbard bears a non-matching serial number. This is quite usual. When sent to the regimental armourer for sharpening, swords were often returned without their original scabbard and an active and regularly sharpened sword could go through a number of scabbard swaps during its service life. 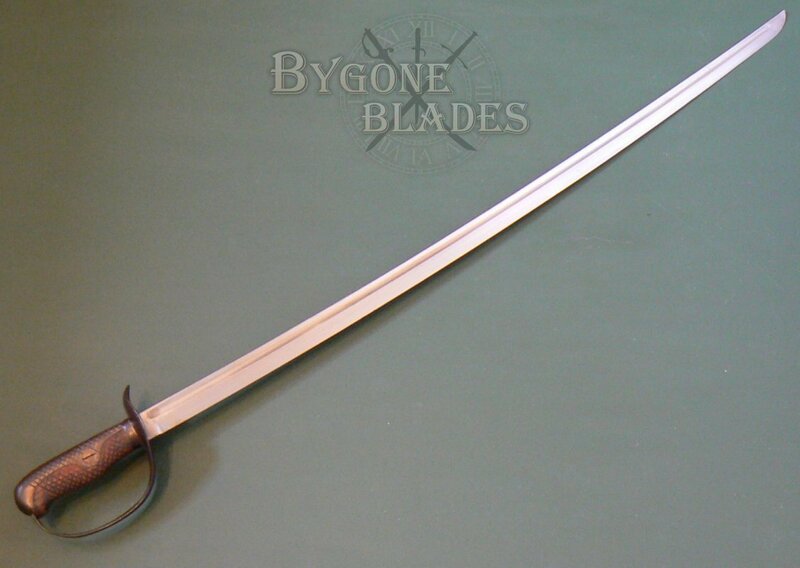 The numbers on the sword and scabbard are close, indicating that the scabbard was from a sword within the same regiment.